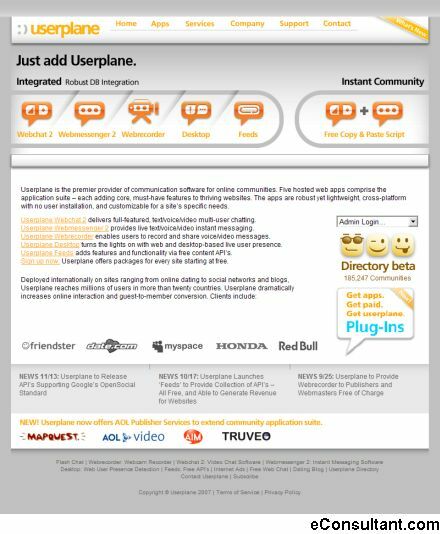 Description : Userplane is the premier provider of communication software for online communities. Five hosted web apps comprise the application suite – each adding core, must-have features to thriving websites. The apps are robust yet lightweight, cross-platform with no user installation, and customizable for a site’s specific needs.